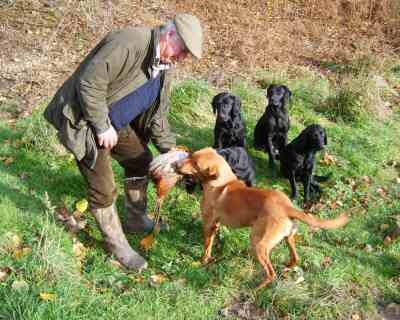 Les Dixon has been a professional gundog trainer for over twenty five years. He has been touring the country show circuit with his dogs for the last five years. 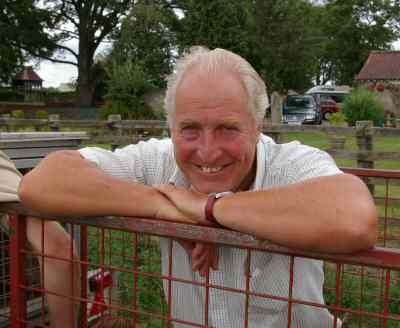 Les was originally based at Mountgrace Priory when he started his gundog display team - hence the name. If you are reading this then your browser does not support frames. A typical show day would be two half hour ring displays, times to suit, but we are flexible and can change to fit in with your arrangements. We normally bring about eight dogs, some fully trained, some partly trained and one or two untrained. This allows us to demonstrate how a trained gundog team works together. Then we can show the basic steps of training young dogs and puppies at various levels of training. 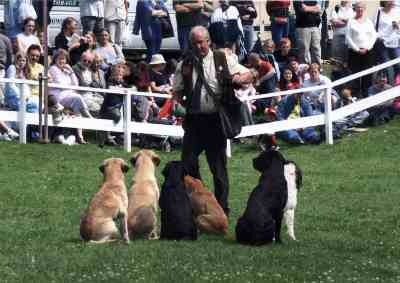 We find this is always a good crowd puller as the training for young gundogs is the same as for a pet dog. Also if time permits we like to involve children in the display. The larger shows that we have covered include Newark and Nottingham, Herts County, East of England, Great Yorkshire, Alnwick Castle as well as many smaller one day shows.. When not in the ring we have a static display so that the public can come along and see our dogs and discuss any training problems they may be having with their own dogs. Our working gundogs are Labradors and Spaniels.